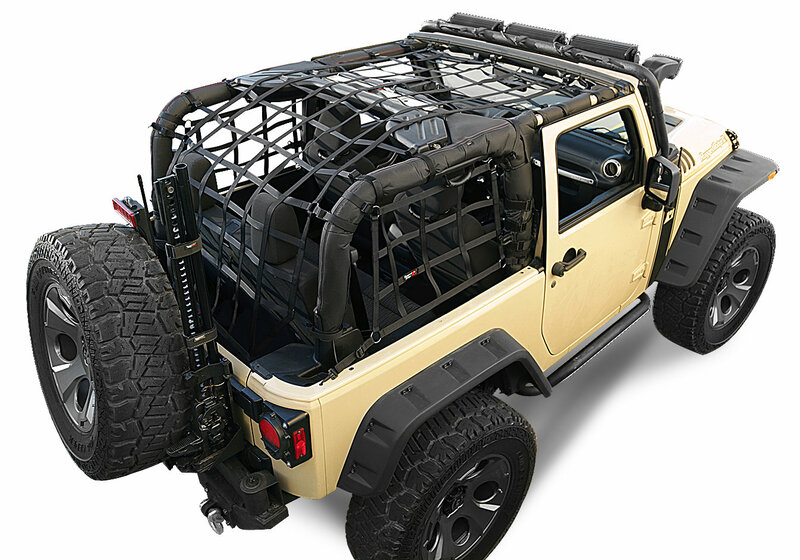 This Cargo Net System is not your average cargo netting. Made from heavy duty 600 Denier UV treated polyester, our system is waterproof, anti-static and tear resistant; the UV inhibitor prevents fading. It is not just strong, it is STRONG. Double layered borders sandwich the netting to prevent unraveling. Includes nickel plated steel and zinc alloy hardware. The netting is glue-bonded and then box-stitched to guarantee that it doesnt come apart under pressure from inside or outside forces.